Delusions of being controlled are psychotic symptoms among the most characteristic symptoms of schizophrenia. The aim of our study was to explore the dynamic of paranoid syndromes in schizophrenia in dependence on delusions of outside control. The objects were 160 schizophrenic patients, aged 18-65 years. We distinguished, conditionally, three consecutive, but not obligatory stages in the syndrome dynamic. The first stage is characterized by sense of “loss of Ego-control” on separate psychic functions, not engaged with a concrete outside influence. On the second stage the sense of “loss of Ego-control” concretizes and forms delusional conception of outside influence and control. On the third stage Ego-control of one’s own psychic processes is replaced by delusional conviction of outside control. A total depersonalization in the frame of paranoid syndrome is observed. The clinical peculiarities of each stage of paranoid syndromes in dependence on the delusions of influence testify, to some extent, to one or other progression of schizophrenic process and could have a relatively prognostic value. Key words: paranoid schizophrenia, delusions, outside control, mental automatism. 5. Berner P, Katschnig H, Lenz G. First-Rank Symptoms and Bleuler’s Basic symptoms. New Results in Applying the Polydiagnostic Approach. Psychopathology 1986;19(5):244-252. 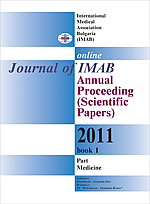 [PubMed]. 6. Clerambault G. de L’ automatisme mental. L’ Encephale 1927; 7: 567-568. 7. Clerambault G. de L’ automatisme mental. Oeuvre psychiatrique. (Ed.) J. Fretet. Paris, Presses universitaire de France 1942: 527-576. 8. Colonna L. L’automatisme mental. Entretiens psychiatriques 1964; 13: 45-65. 10. Lerner V, Kaptsan A, Witztum E. Kandinsky-Clerambault's Syndrome: concept of use for Western psychiatry. Isr J Psychiatry Relat Sci 2003; 40(1):40-46.[PubMed]. 11. Schneider K. Funf Jahre klinische Erfahrung an der Forschungsanstalt fur Psychiatrie. Dtsch. Med. Wochenschr.1939; 62: 957-971. 12. Schneider K. Primare und Sekundare Symptome bei der Schizophrenie. Fortschr. Neur. Psychiat.1957; 9: 487-490. 13. Weinberger RD, Harrisson PJ. Schizophrenia, Third Edition. Blackwell Publishing Ltd, 2011. Published Online: 8 Mar 2011. [CrossRef DOI: 10.1002/9781444327298].